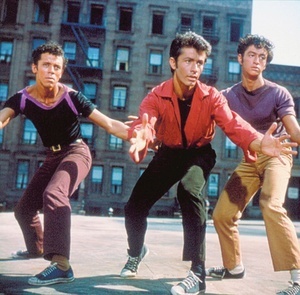 New West Side Story Cast Announced, Includes Actual Latinos! The cast for the Broadway revival of West Side Story has been announced and Maria isn’t going to be played by a gringa wearing a lot of bronzer! But she’s still not actually Puerto Rican. Heading the cast will be Matt Cavenaugh (A Catered Affair, Grey Gardens) as Tony, Karen Olivo (In the Heights) as Anita, Cody Green (Movin’ Out) as Riff and George Akram (“Stuck on You”) as Bernardo. Twenty-one-year-old Argentinean actress Josefina Scaglione, who created the role of Amber Von Tussle in the Argentinean production of Hairspray, will make her Broadway debut as Maria.